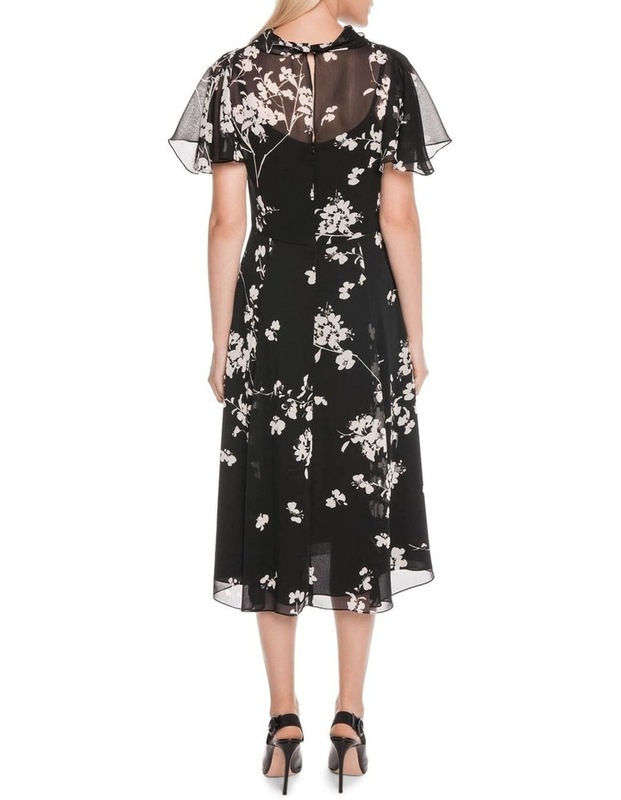 Made from a cherry blossom crinkle georgette from Europe, this midi dress features a fluted magyar sleeve and soft stand collar. Slip lining. Fastened with an invisible zip at the centre back. Made in Australia.